Cash Returns - JP Mac is joined on stage by the show's newcomer Kim Crumley as June Carter. 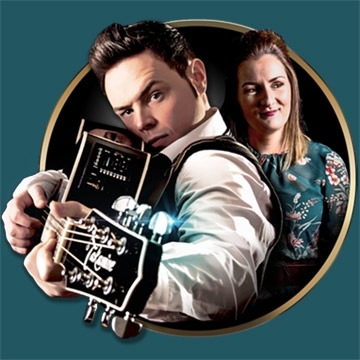 Johnny Cash Tribute Show - The Cash Returns - has been hailed the greatest and most exciting Johnny Cash Tribute in the UK and Ireland by fans and club owners alike. The show has picked up 'Best Tribute Band' at 2016's 'Hot Country TV Awards". Now with a fantastic live and energetic six piece band, including the award winning JP Mac as Johnny Cash, whose baritone voice and tone is scarily uncanny to the Man in Black's himself.